On my forum we just started this thing called Anime Asylum where we pick an anime to watch and discuss it. I told everyone I'd draw something for it every week so here's my first drawing. I decided to do myself as the cross dressing boy who disguised himself as Marie Antoinette in The Rose of Versailles. 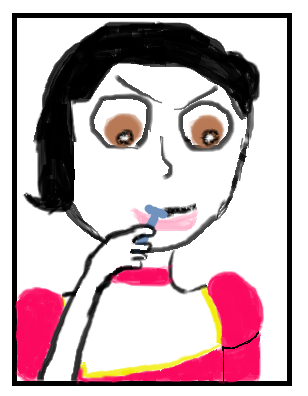 I thought it would be fun to do a drawing where I'm shaving, preparing for the switcharoo. Next week I'm probably going to draw my cousin in a&nbsp;Code Geass drawing. I think I want to have Lelouch's powers and become a drifter. Order food at a specific place and order them to let me have it for free, rinse and repeat. I literally will be the reason several different restaurant chains will fire their employees and I'll become the next Kira. 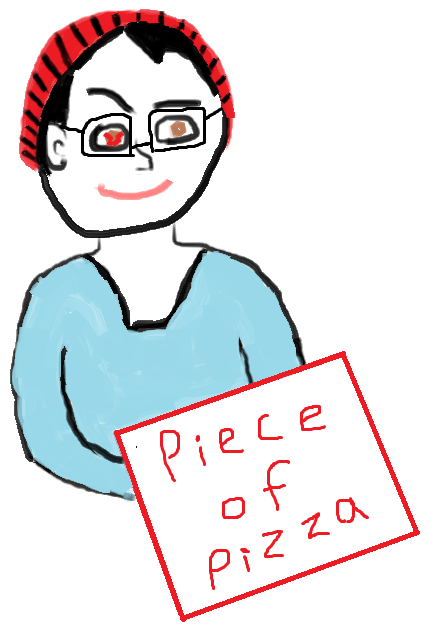 So I decided to draw him using Geass to steal pizza.